While Luis Ortiz seemed to be in-line for a fight with Dillian Whyte, Eddie Hearn is eyeing a rematch with Dereck Chisora is his ideal fight for Whyte on December 22nd. 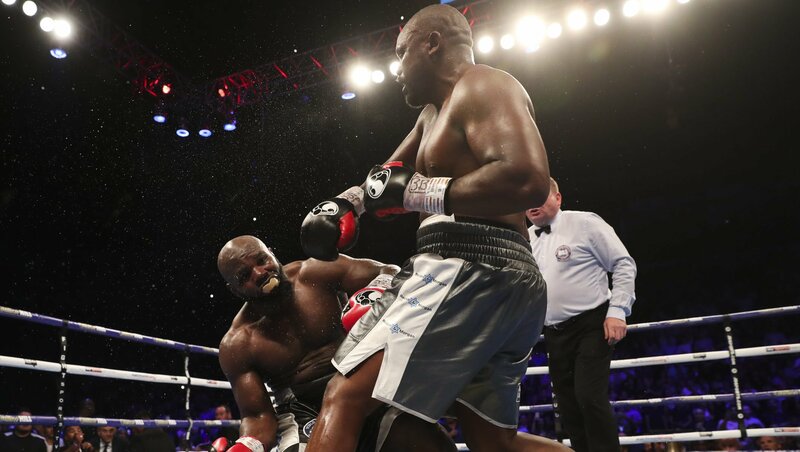 Whyte would walk away from their initial December 2016 encounter with a split decision win over Chisora, but some feel Chisora did enough to take the win. Even with the history, and Chisora’s stoppage win over Carlos Takam in July, the WBC selected Whyte and Cuban southpaw Luis Ortiz in a final eliminator for their world heavyweight championship. Hearn feels that Ortiz wouldn’t make the effort to travel to the United Kingdom and that Ortiz is looking to “create noise” for a December return. “Chisora is still definitely the front-runner,” Hearn exclusively told Sky Sports. “Ortiz is scheduled to fight on the Wilder-Fury card on December 1 and wanted to make some noise by saying, ‘I want to fight Dillian Whyte.’ Maybe he will. Chisora is a big fight and one we’ve been working on for a while.